Mars in Pisces may be too emotional for Moon in Libra. He’s the sensitive warrior and she’s the objective romantic. 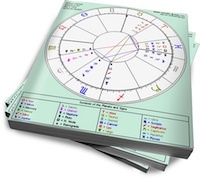 However, romance is the key to Libra’s heart, and Pisces can win her over with his magical ways. Mars in Pisces uses his creativity and passionate mystique when he pursues someone he’s interested in. It’s not just about flowers and wine (although these weapons are certainly part of his arsenal). Mars in Pisces’ techniques transcend the usual–he can be spiritual and deeply empathetic, as he seeks to create a soulmate union (even if the object of his affection is not actually his soulmate). The downside to his extreme sensitivity is his tendency to collapse under the weight of daily life. When the going gets tough, he can escape into addiction or passivity, if he hasn’t grounded his energies in something healthy. Moon in Libra needs romance, but it has to be clean. Despite her yearning for relationships and all the pretty trappings, she is an Air sign. Which means she’s most comfortable with an intellectual exchange of romantic words, along with some nice visuals. Moon in Libra is not comfortable with intense emotional displays. However, her need for harmony ensures that she’ll do her utmost to keep the union running smoothly, even when things get messy. Moon in Libra will be intrigued by Pisces’ pure romance, but she’ll be uncomfortable with his efforts to create a boundary-less bond. She loves the idea of soulmates, but he’ll be attempting to make it real. Whether her discomfort or intrigue wins out depends on other contacts between their charts. If these two get together, the success of the union depends on how Mars in Pisces acts. When he’s working at a higher level, he can be quite refined and sensitive to the needs of his partner. Moon in Libra will love this, and she’ll reward his efforts with her support. When he’s doing Low Pisces, he can be deceptive, unreliable and addiction-prone. Libra will try to help, but may be out of her depth when he collapses in self-pity.